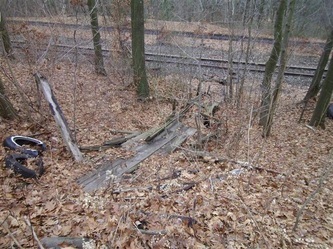 Terraserver view, Winton Branch is the green line. 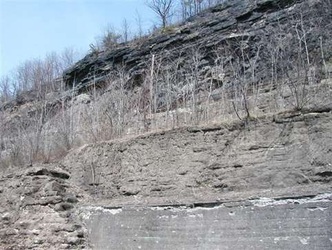 Topographical Map of area explored. 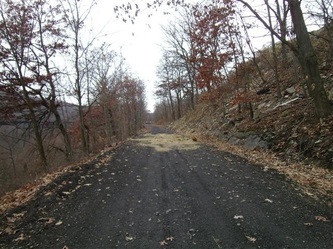 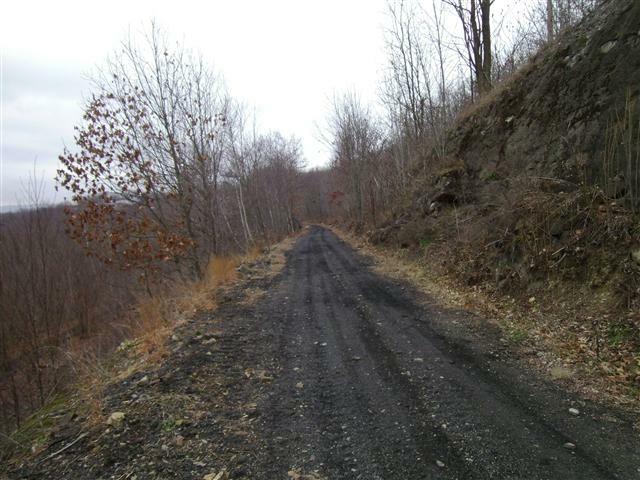 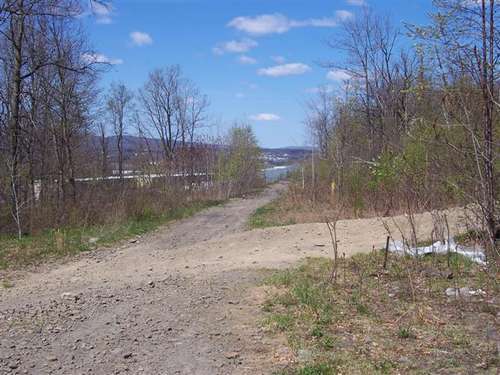 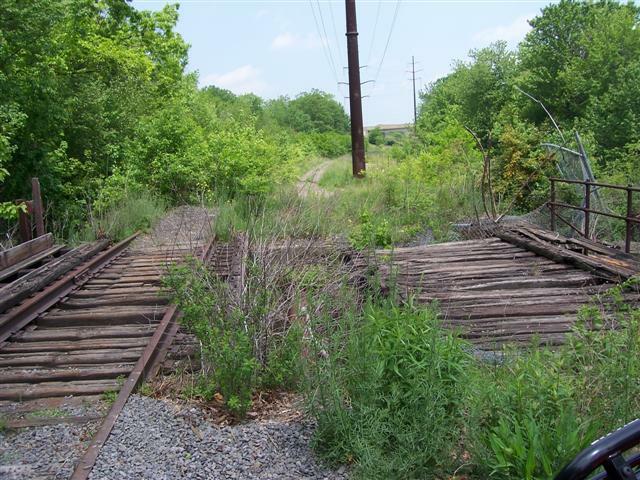 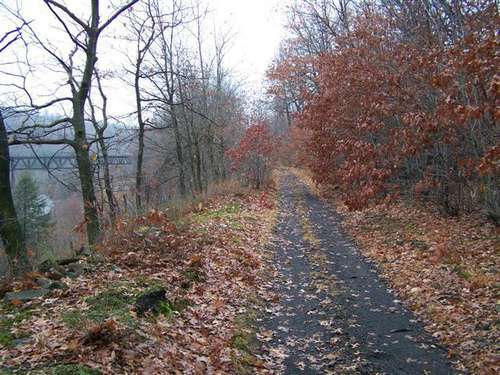 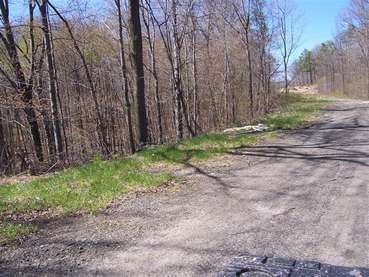 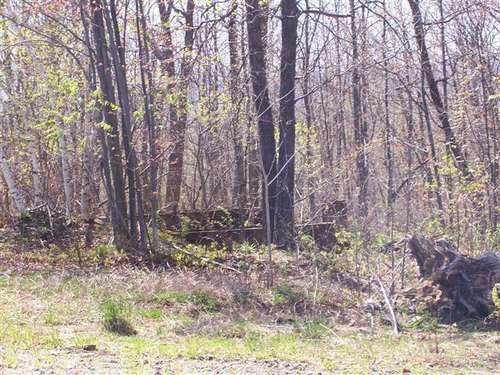 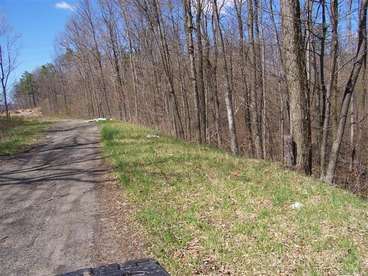 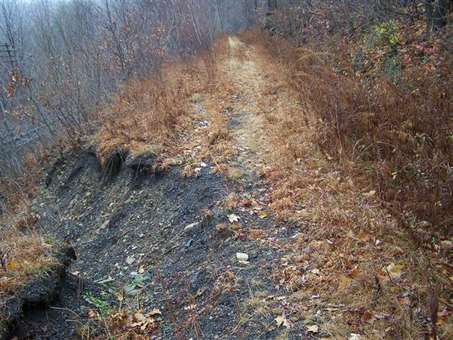 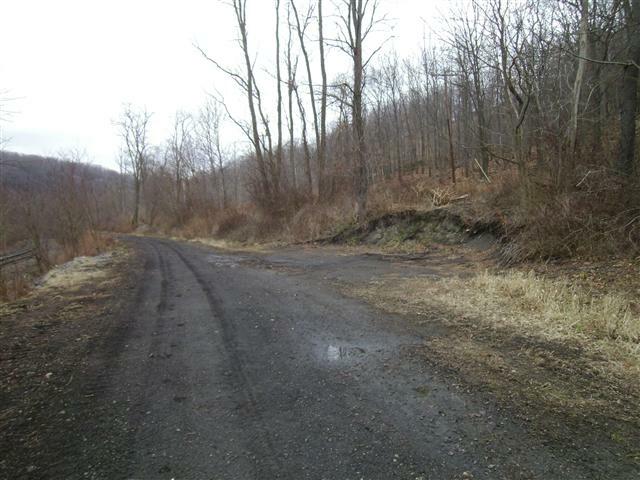 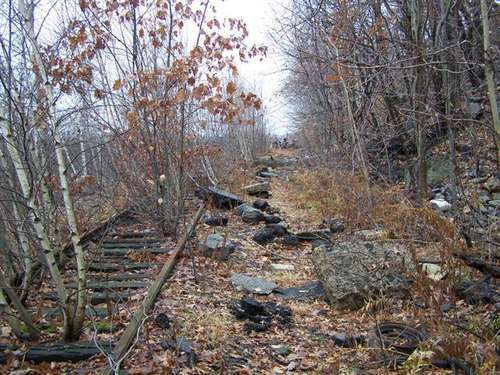 It is rare to see an old rail line abandoned for so many years be reconstructed. 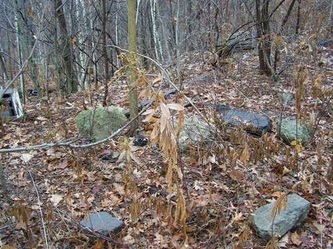 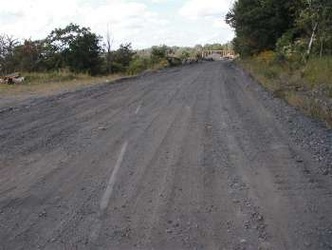 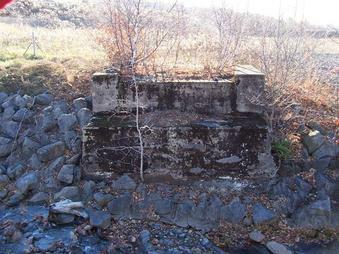 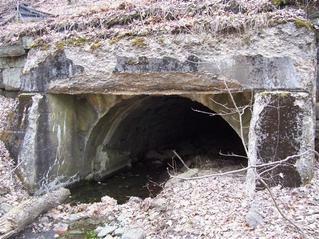 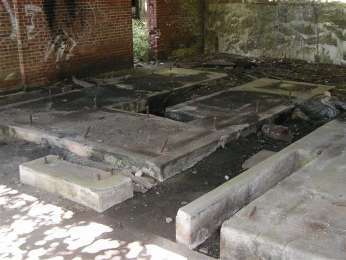 These pictures show the early stage of reconstruction. 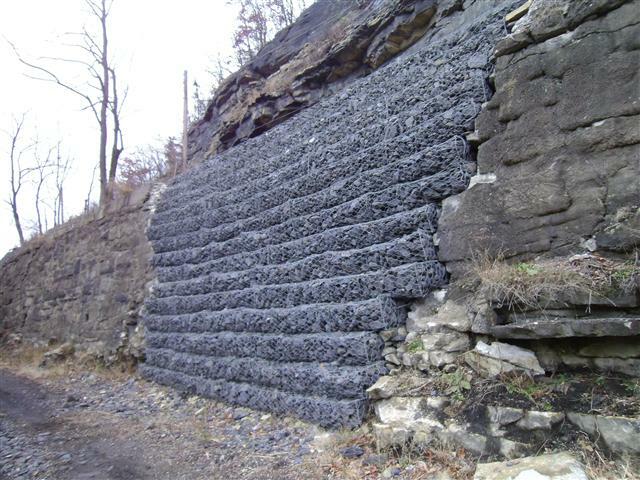 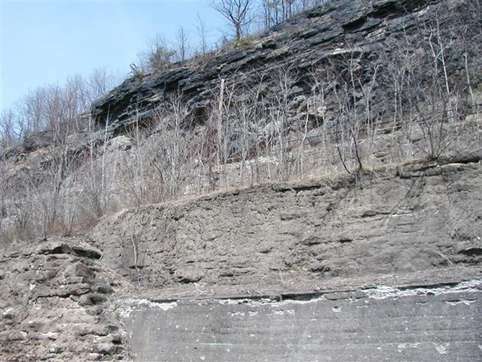 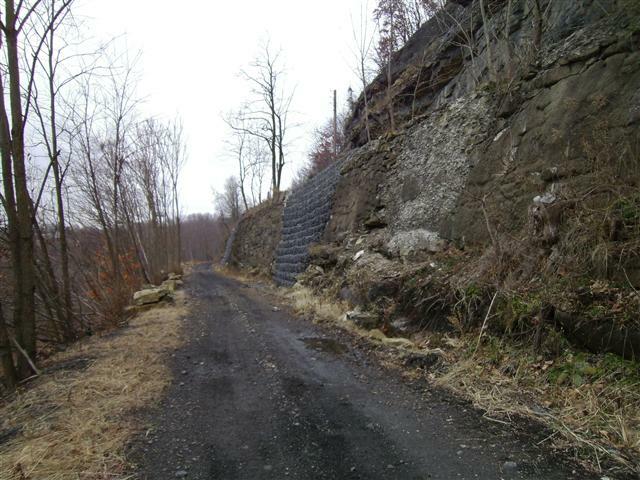 The apparent plan for this line is to service the Keystone Quarry and Landfill. 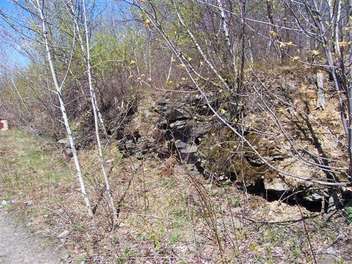 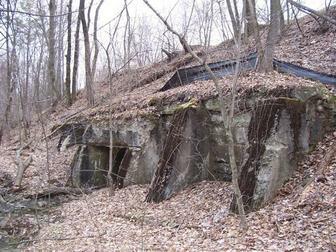 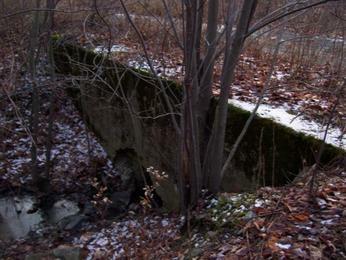 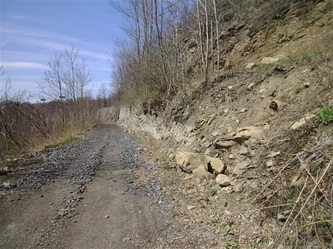 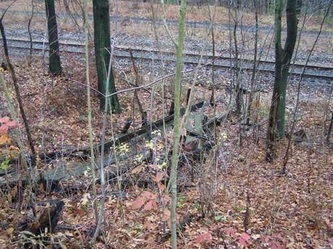 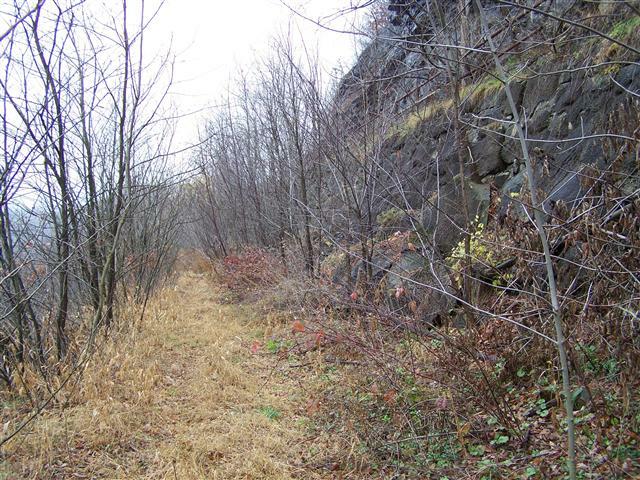 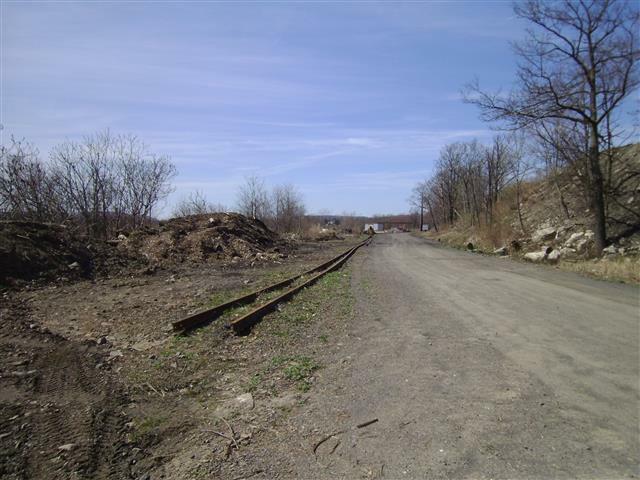 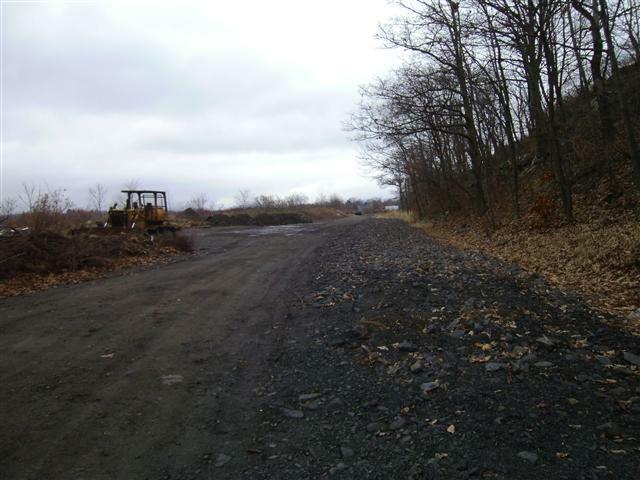 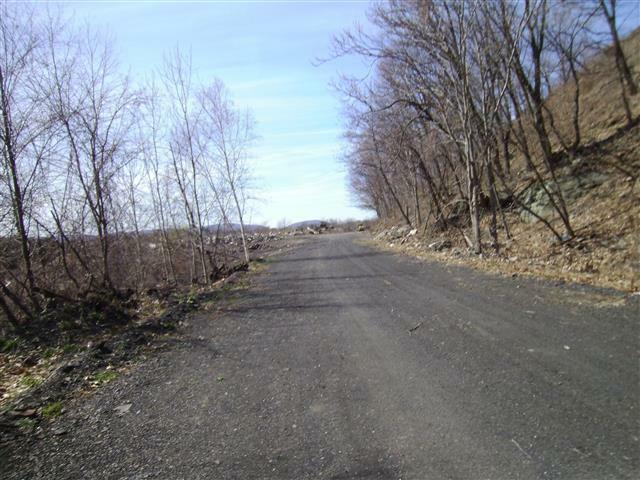 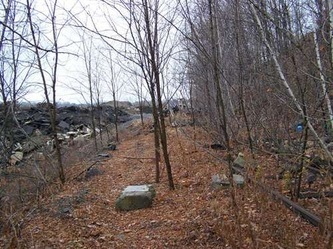 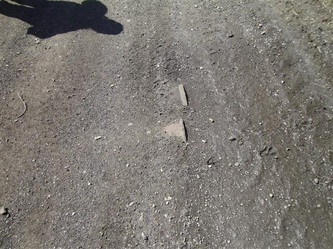 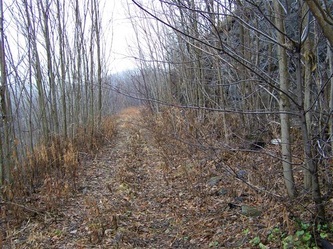 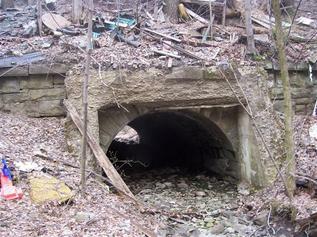 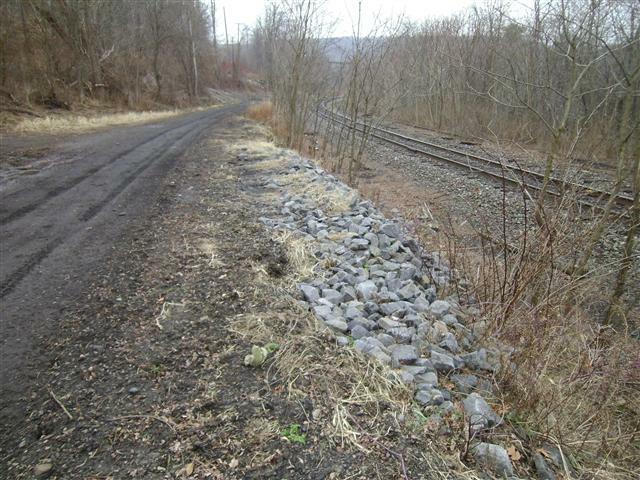 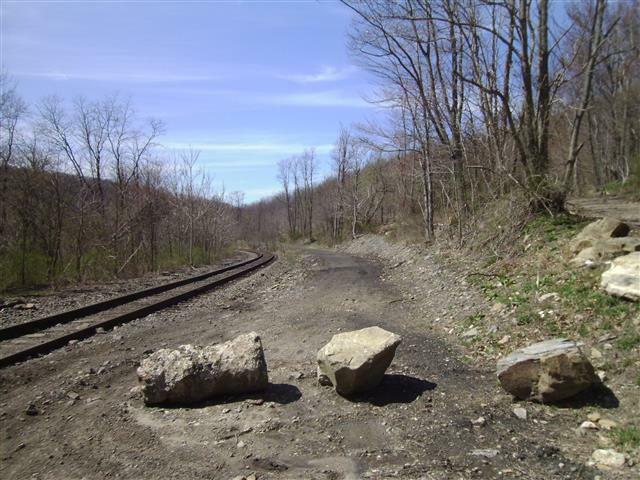 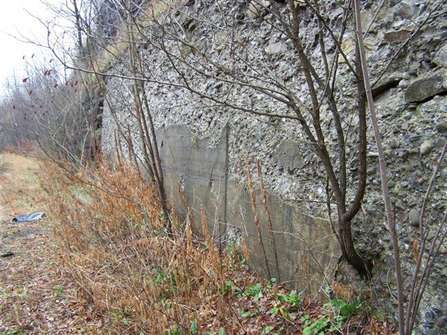 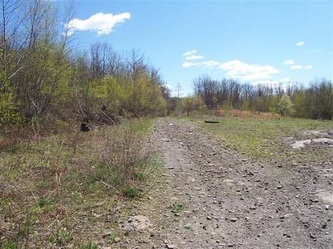 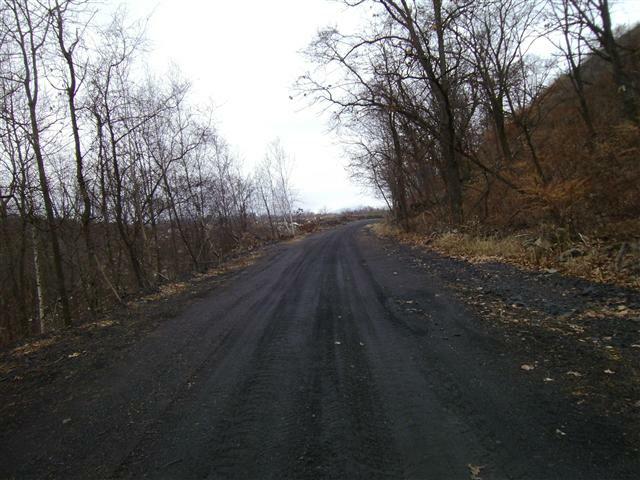 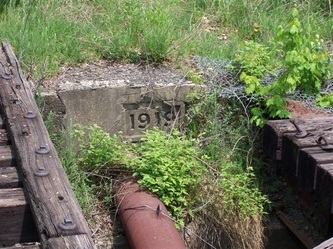 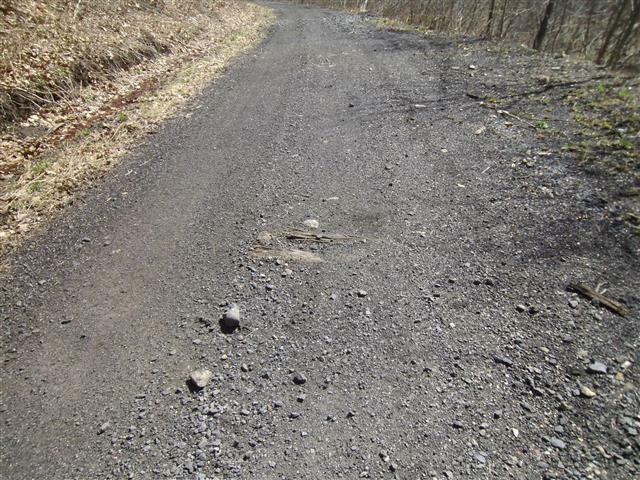 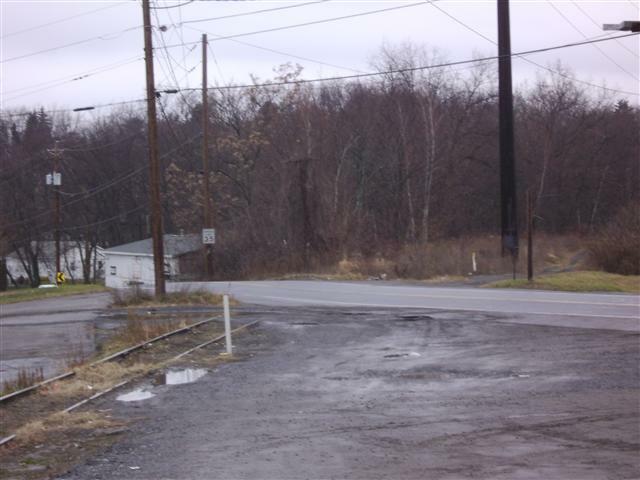 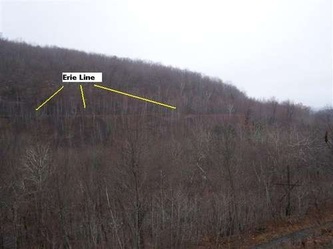 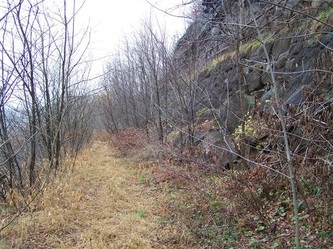 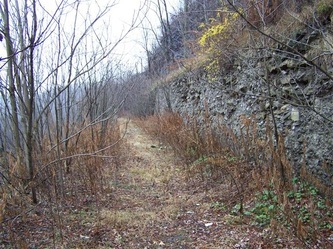 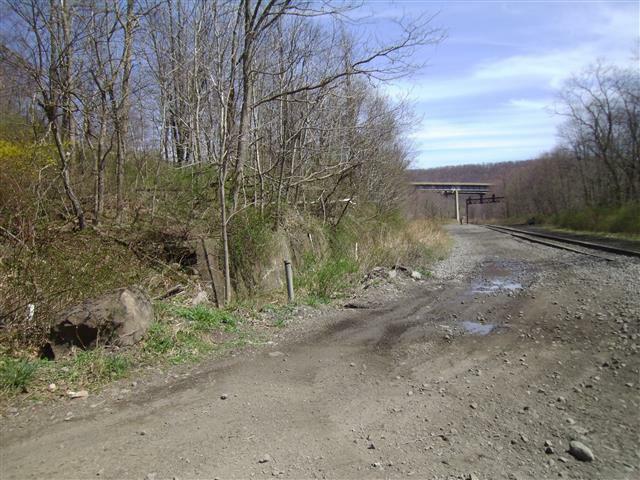 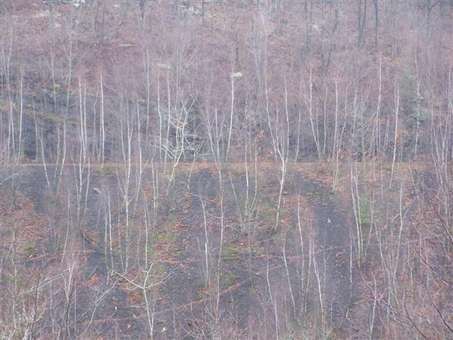 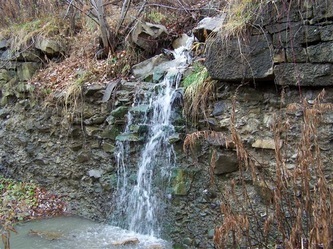 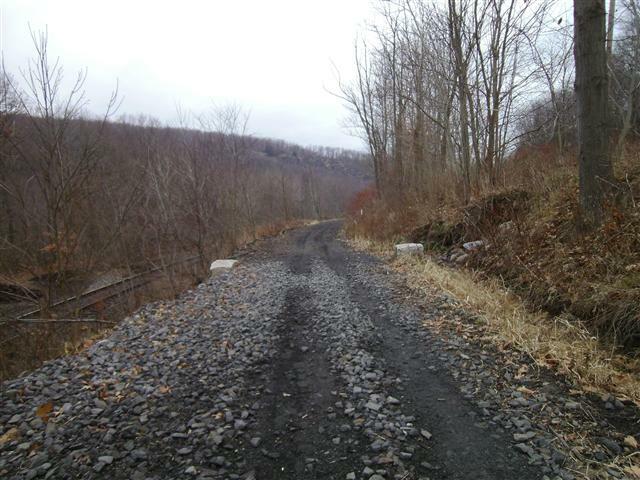 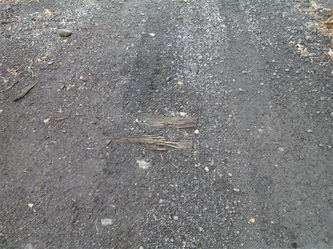 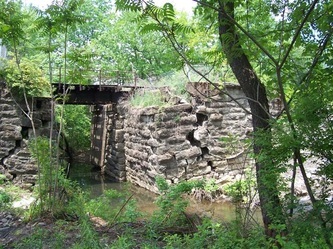 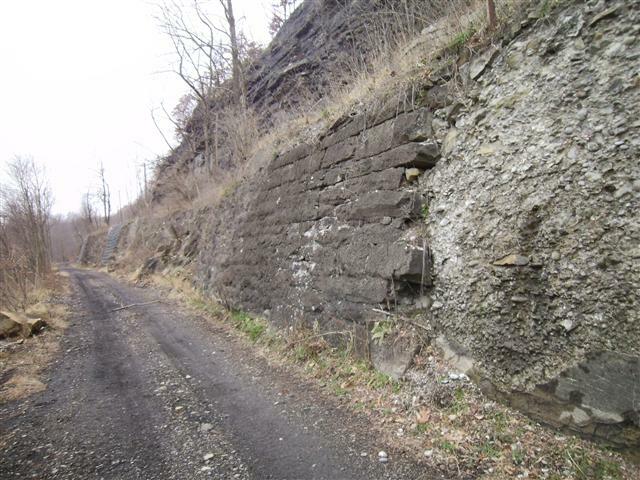 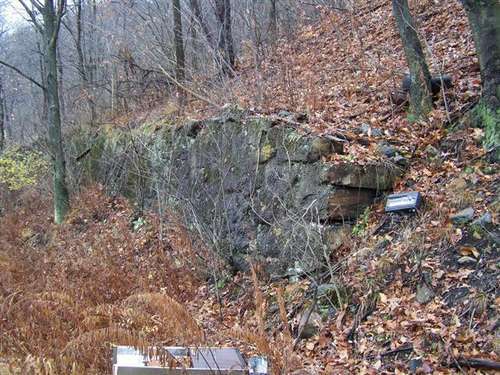 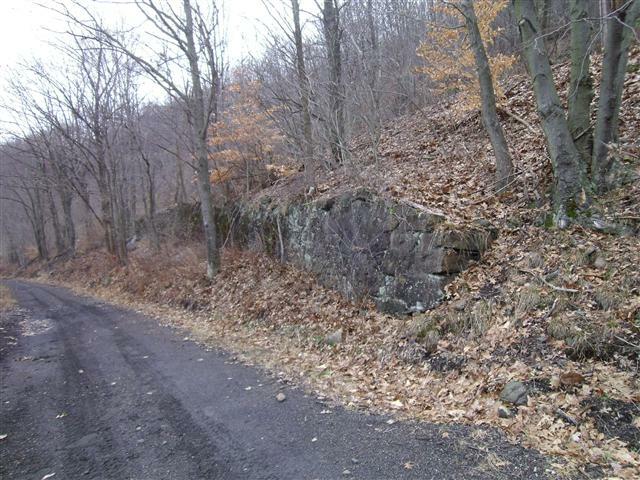 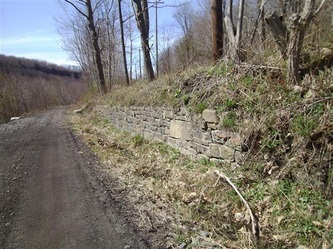 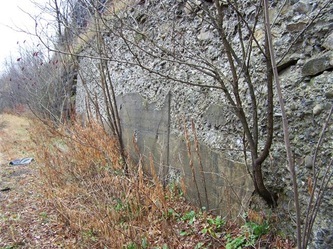 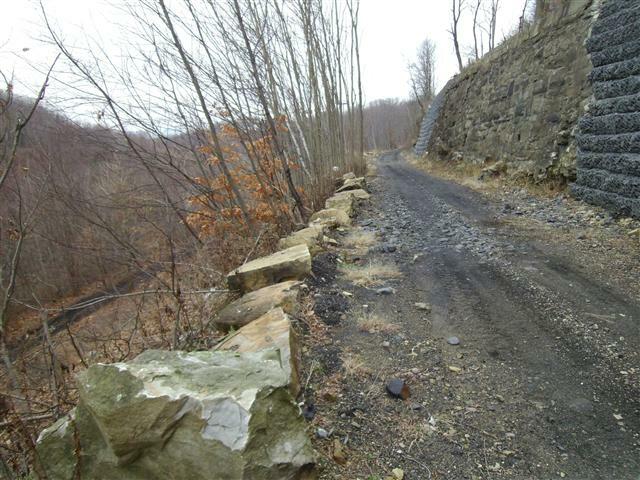 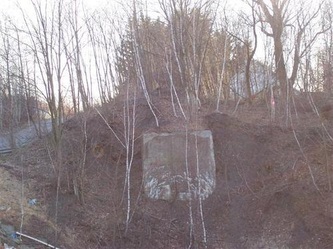 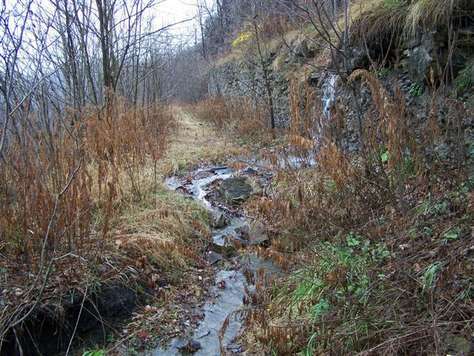 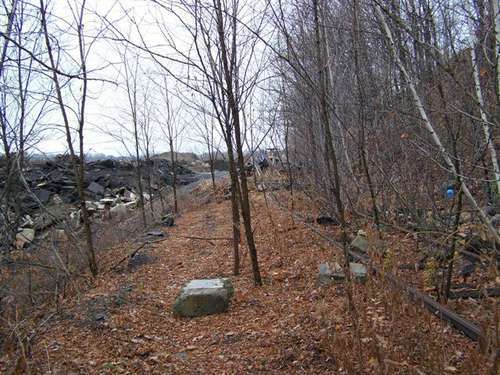 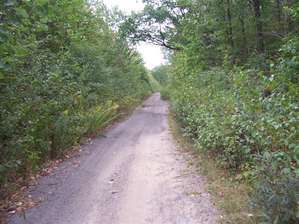 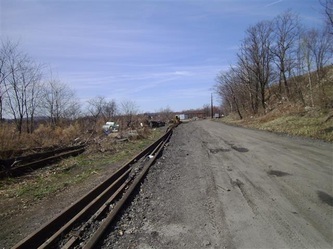 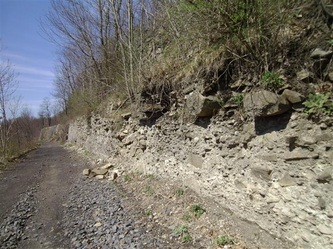 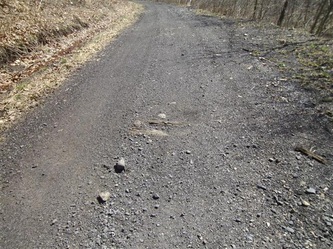 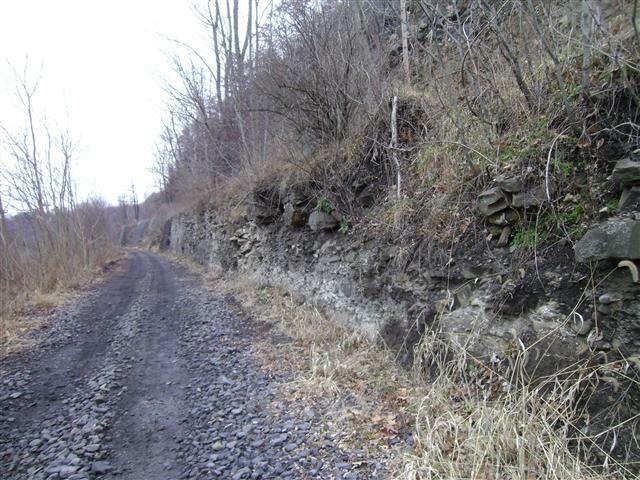 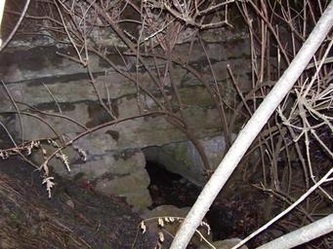 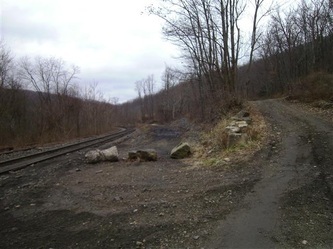 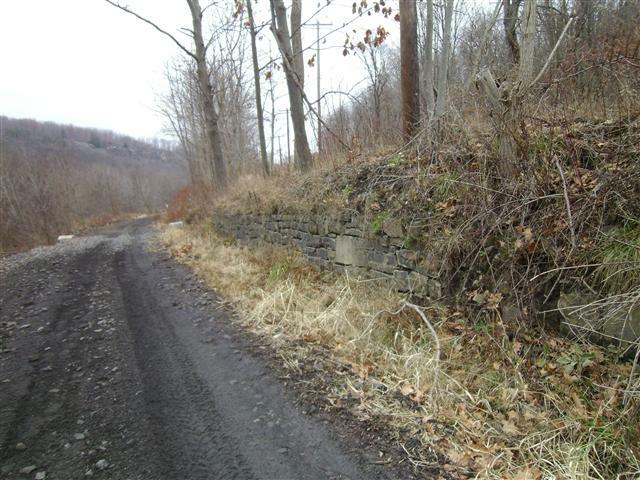 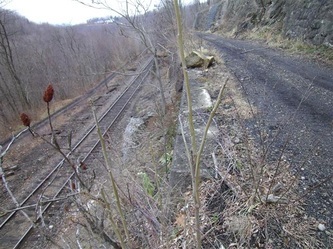 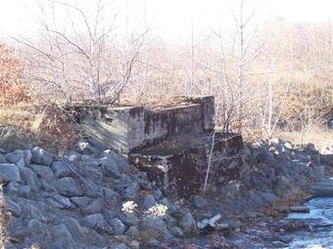 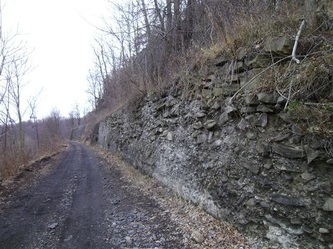 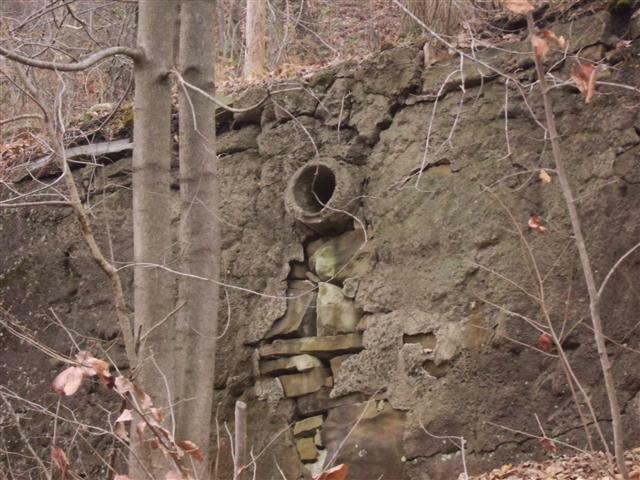 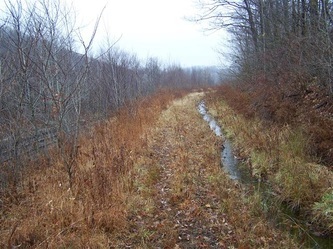 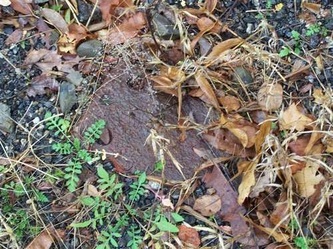 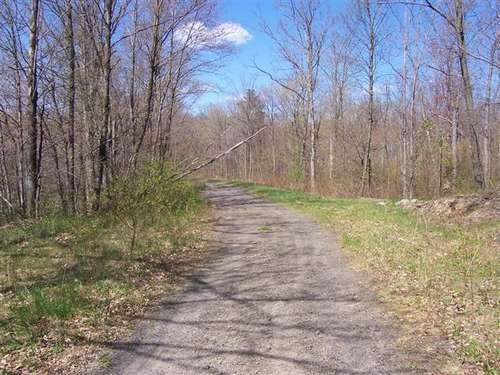 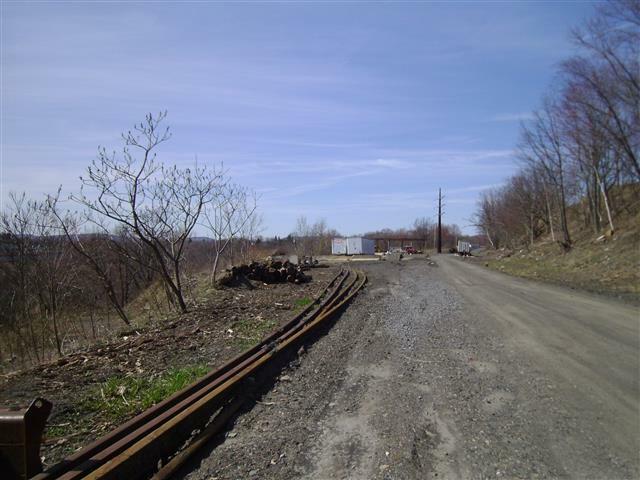 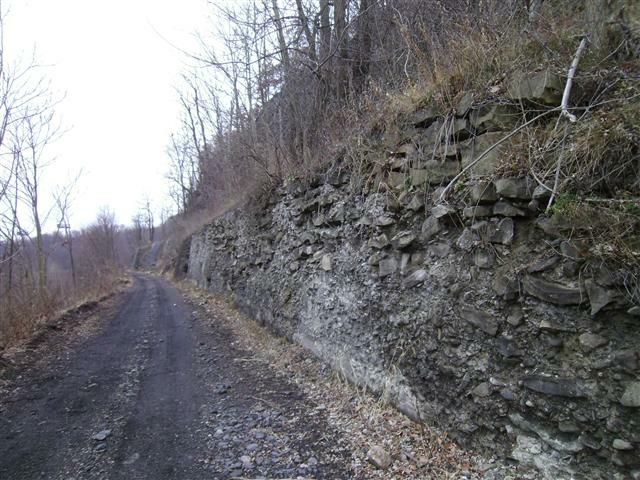 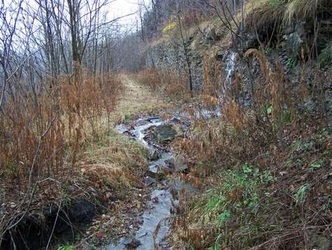 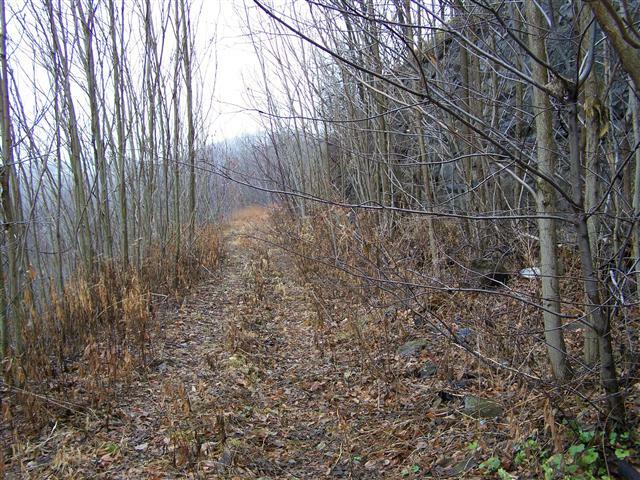 (part of the Keystone industrial track) This was serviced by the Erie's Wyoming Division (Last known as the "Dunmore running track") but severe damage to the line in 1985 by hurricane Gloria makes reconstruction of this line impractical. 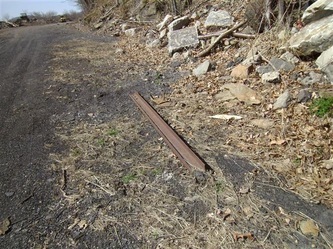 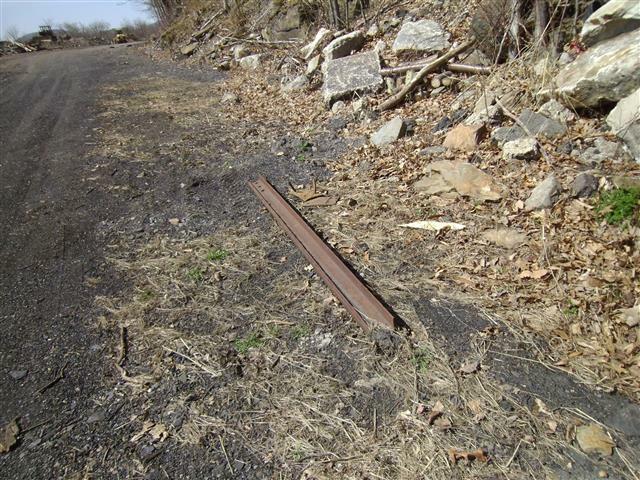 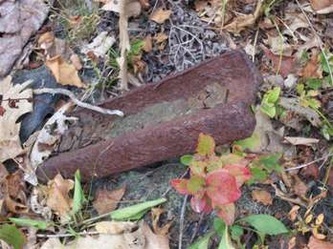 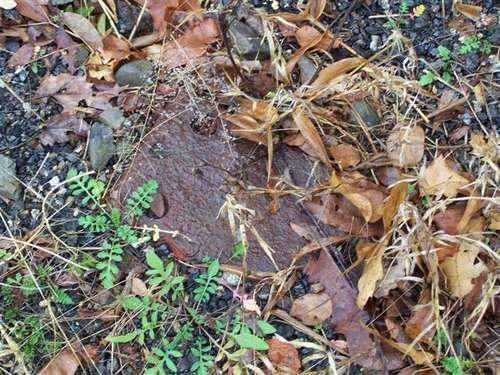 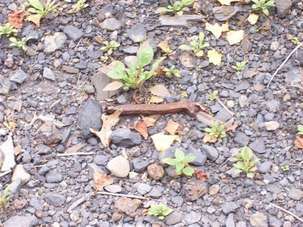 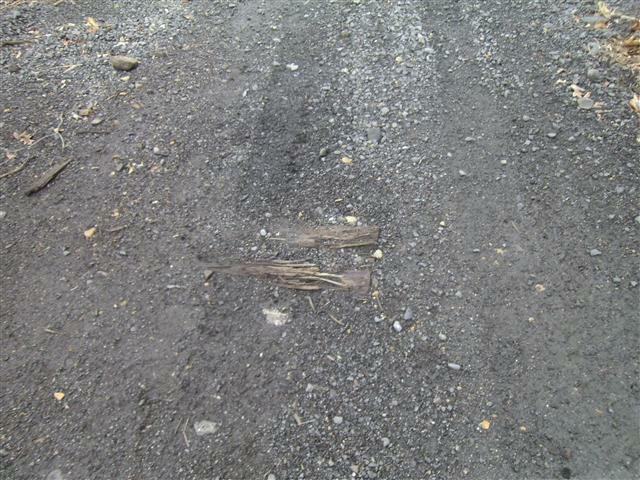 Although the rails are still in place in most locations, the damage is severe. 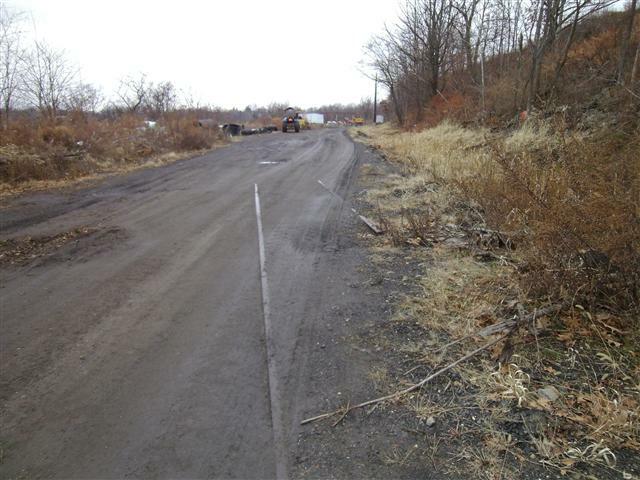 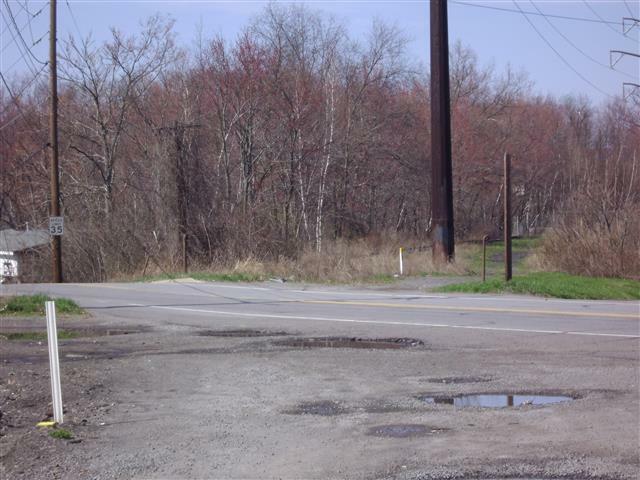 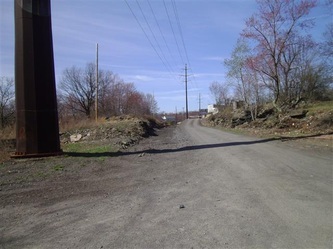 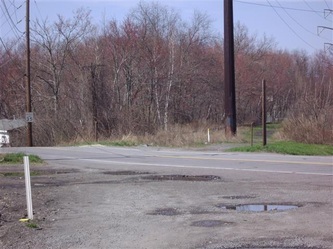 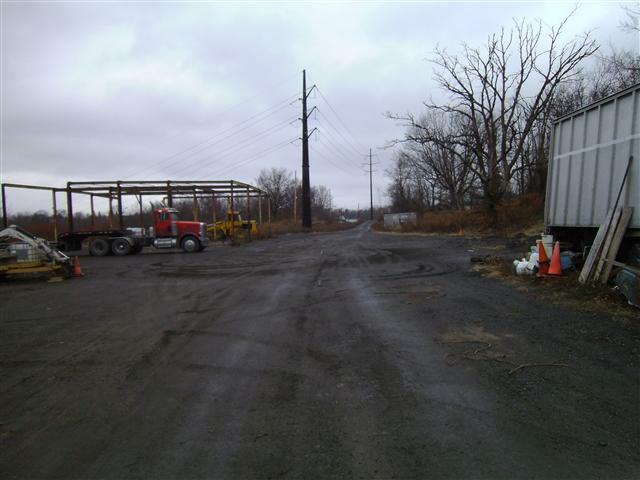 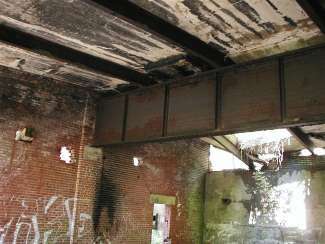 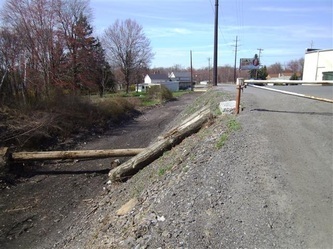 The rebuilding of part of the old Winton Branch will be approximately 1.75 miles and will connect to the former Jessup Branch just before the Drinker Street crossing. This map shows the line after Marshwood road. 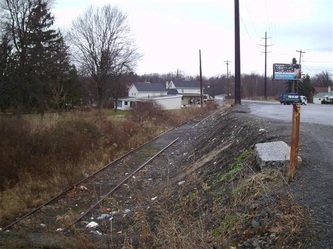 The Erie's Jessup Branch is also shown. 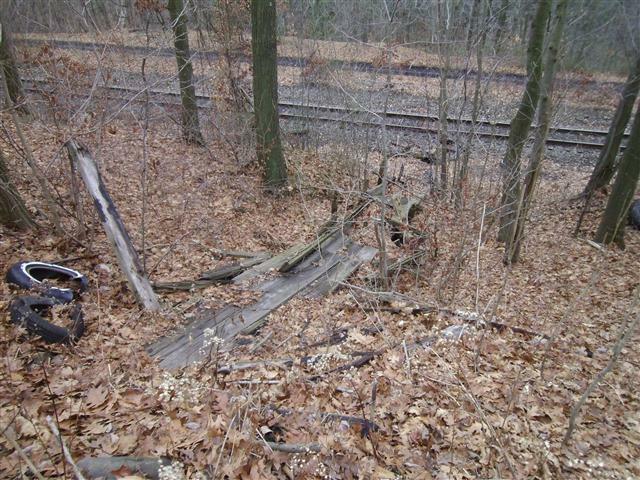 Just before the Olyphant exit the railbeds are erased. This image is near the Jessup exit of Route 6. 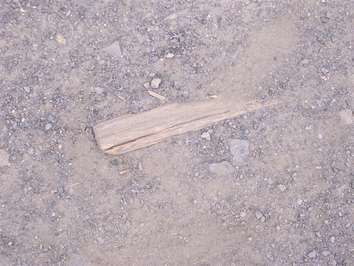 I traced out how the railbeds ran into Jessup. 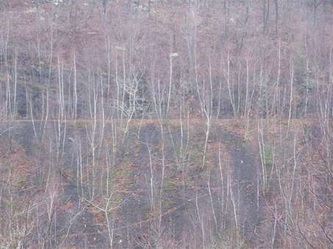 This map was a great help in figuring out how these lines ran. 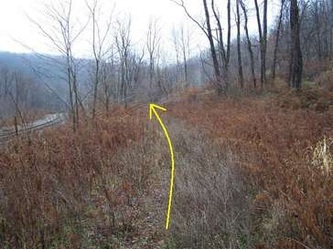 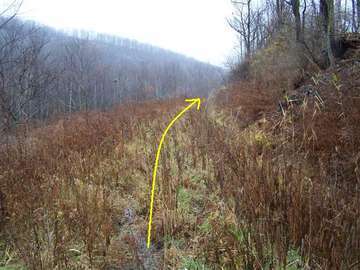 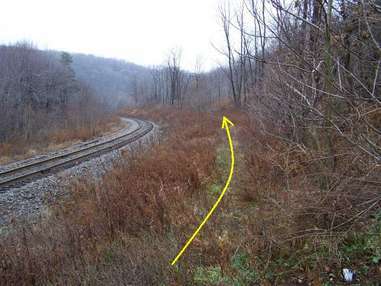 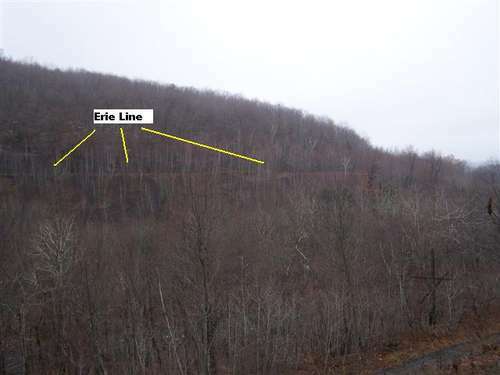 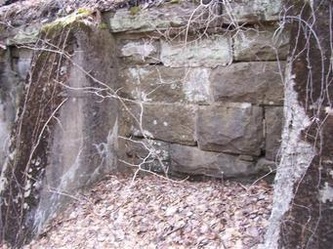 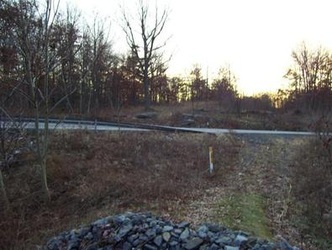 This part shows "Rock Junction" (Erie) and how the Winton branch came off the mainline. 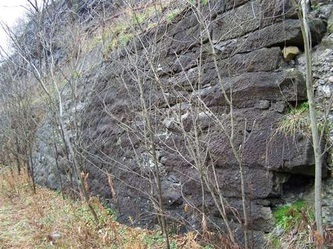 This shows where the Underwood Colliery site was in relation to the rail lines.